Cuddle, bounce, and bop with your baby in Kindermusik’s curriculum for our smallest sweeties. Whether your baby is five weeks or five months, this class will be perfect for you! With age-appropriate activities for newborns, infants and crawlers, this parent-child music and movement class will help you strengthen those early parent-child bonds, understand your baby’s development, and heavily focus on child development and communication with your baby. You and your baby will enjoy instrument play, dance, exploration time, and together time—and you’ll get expert advice and parenting resources based on the most recent research in baby development. We are hoping to offer this curricula in the Summer and Fall! If you have a baby under 1 and are interested, please email us at musiklauren@yahoo.com! Get ready to sing, play, and move with your little one in this high-energy music class designed to be just right for very young children. This new Kindermusik curriculum focuses on your child’s beginning movement, helping to build the muscles your young toddler needs to walk, run, and climb; and on vocal development, helping to nurture your child’s speaking and singing voice. With a mix of both parent-child joint activities and child-focused activities, you’ll be able to join right in on all the singing and dancing while also getting the chance to observe how your young toddler learns on his or her own. Embark on Kindermusik’s fun new exploration of singing, swaying, laughing, and playing through Sing & Play, a just-right mix of early-childhood vocal play and language development, together time, and music and movement activities! This music-filled class celebrates the unique joys of your growing child. Each week your child will love singing, dancing, and playing instruments with you and her new friends and you’ll love helping her practice a wide variety of abilities such as gross and fine motor skills, turn-taking, social skills, and active listening. In class, we’ll also share tips and ideas for using music throughout the week. Plus, the fun (and learning!) 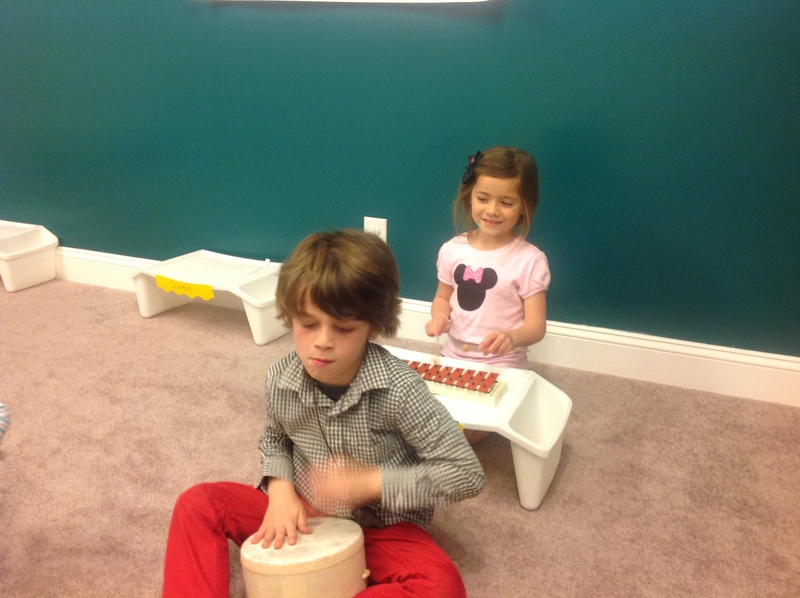 continue with the Kindermusik Home Materials, including music from class, musical activities, and each month’s story. Each week in class we combine your preschooler’s natural love of music, storytelling, and imaginative play with age-appropriate activities that introduce early music concepts and foster independence, social and emotional skills, language growth, and self-control. We also connect you with other parents who share in the wonder of parenting a preschooler. Parents join class for the final activities. The Kindermusik Home Materials bring the music, activities, and each month’s story everywhere you go. The repetition enhances the learning—and the fun! From the moment you became a parent, you wanted the best for your child. In class, we engage your child in music and movement activities that also promote language, social and emotional skills, early math and early literacy, physical coordination, creativity, and more. Plus, your child will learn basic music vocabulary and notation—all setting the stage for future school success and formal music lessons. Parents join the fun for the final activities. 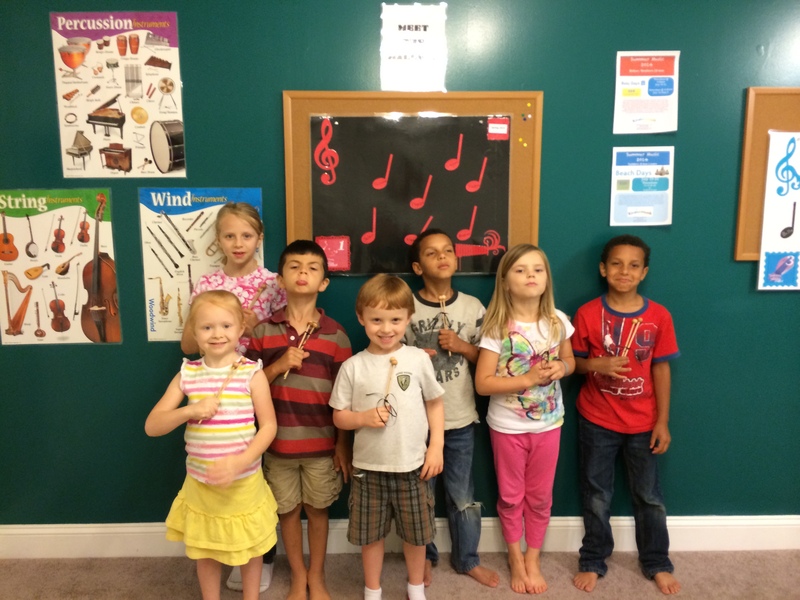 The Kindermusik home materials extend the benefits all week long with music from class, activities for the whole family, and each month’s story. Summer: June 18-22 Day Camp in Sanford! Levels 4&5/Young Child prepares the young child who is eager for first experiences with musical symbols and instrument discovery but is not yet ready for formal lessons and traditional music reading with an instrument. Classes are 15-weeks and run in four sequential semesters. Children can join in any semester!